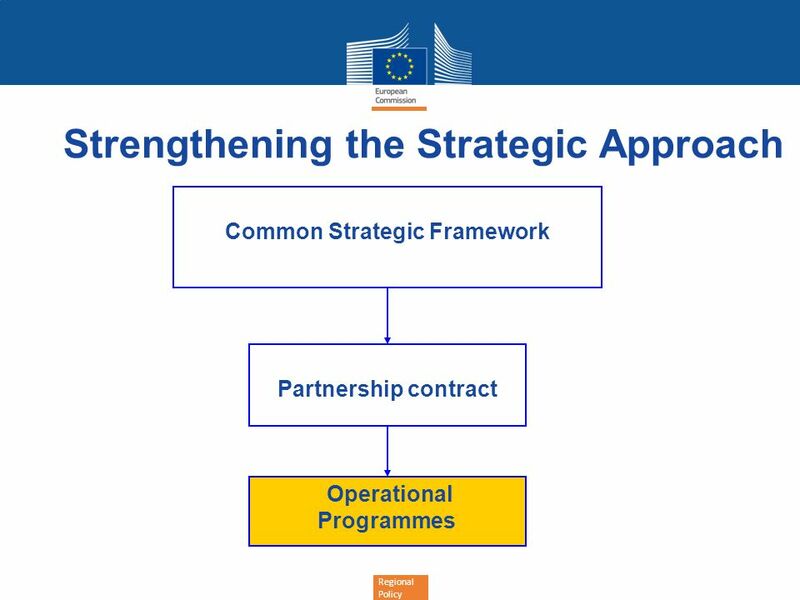 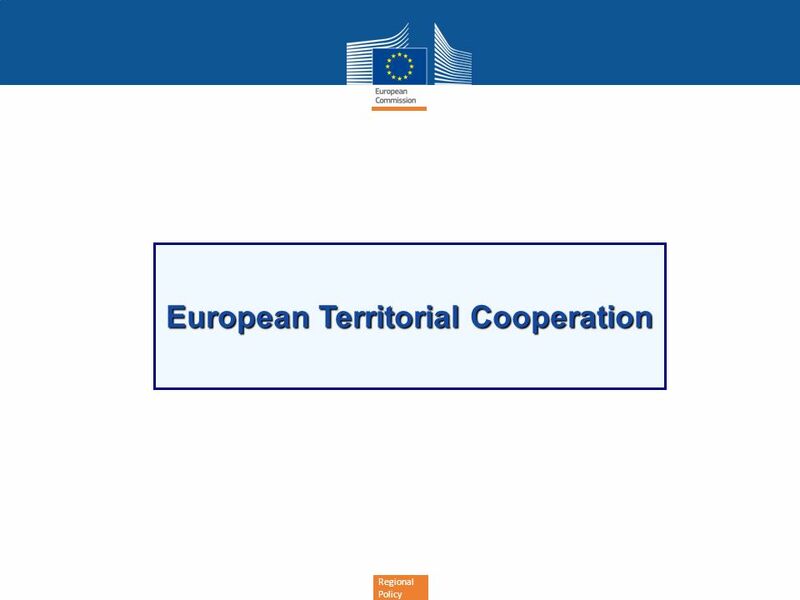 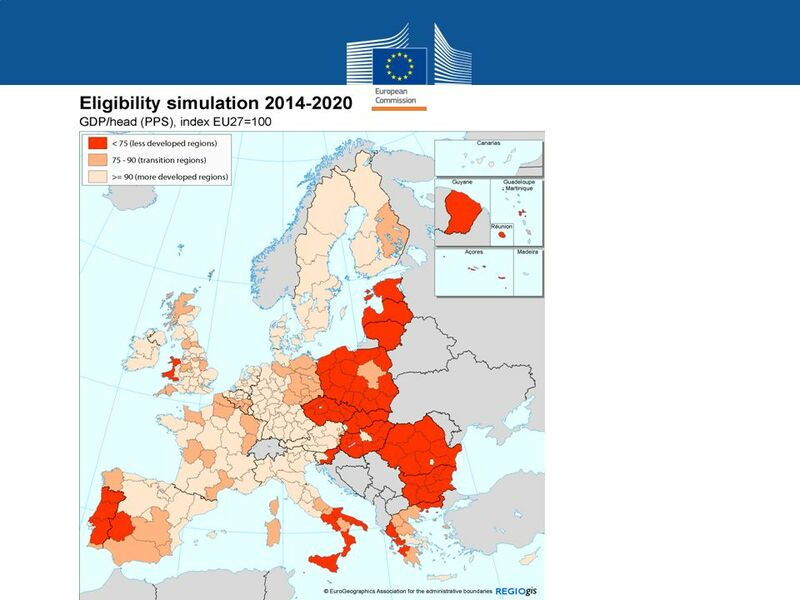 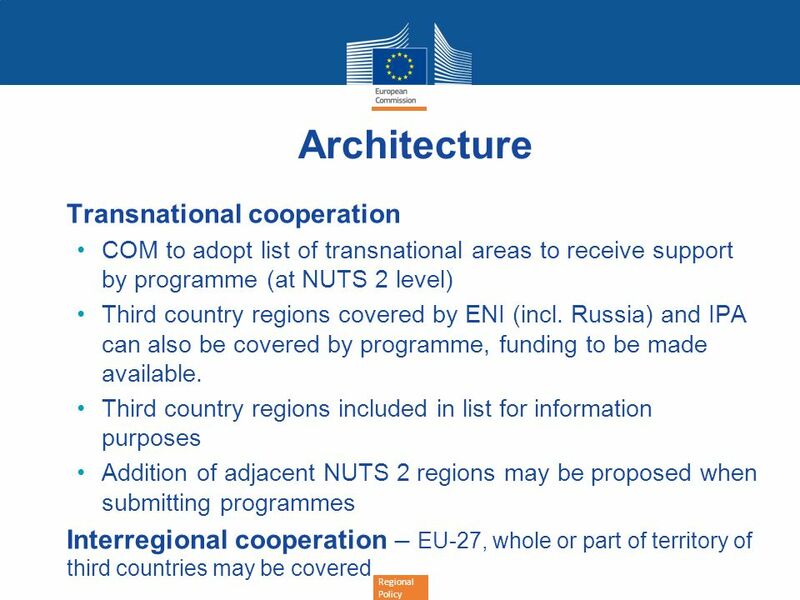 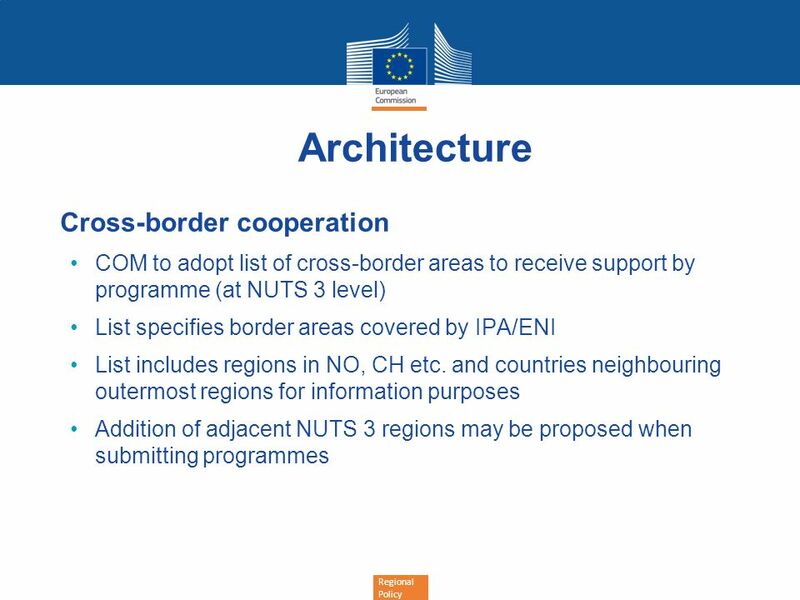 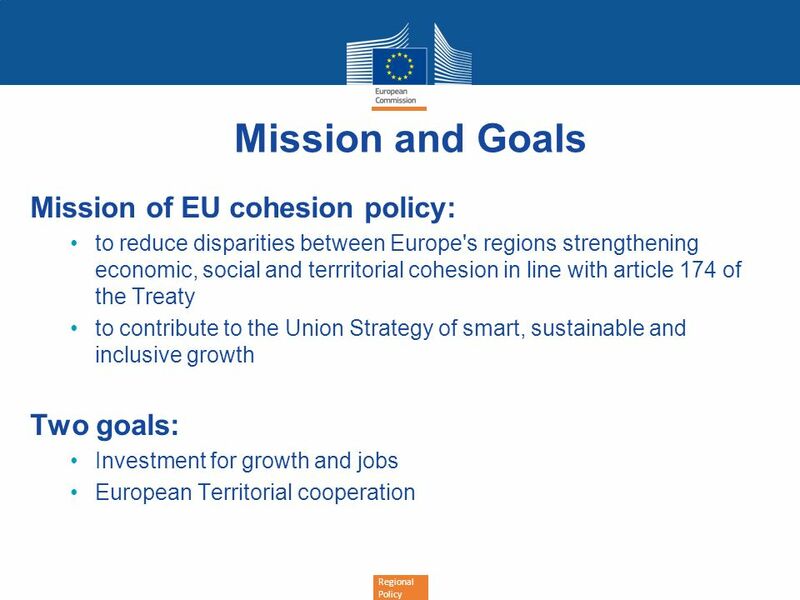 Download ppt "EU Cohesion Policy Proposals from the European Commission"
1 The Europe 2020 Strategy and the Challenge of an Integrated Territorial Approach Philip McCann University of Groningen Special Adviser to the European. 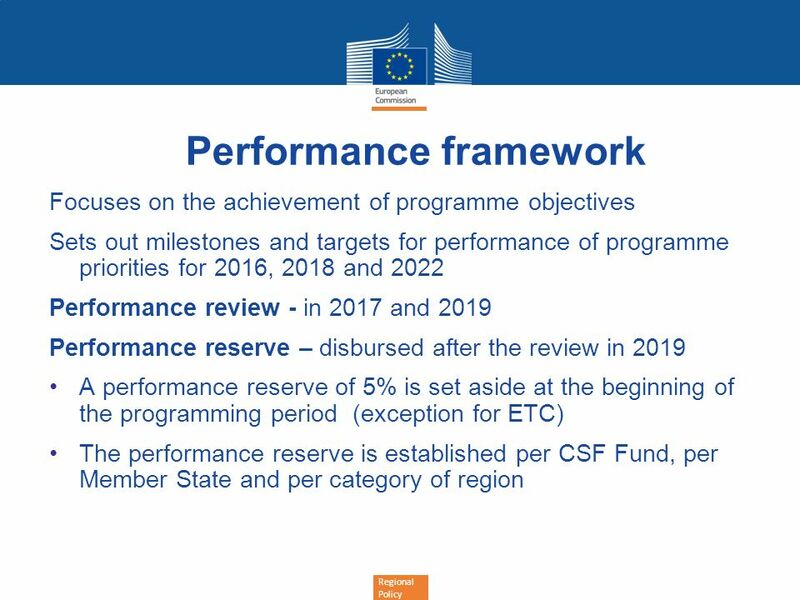 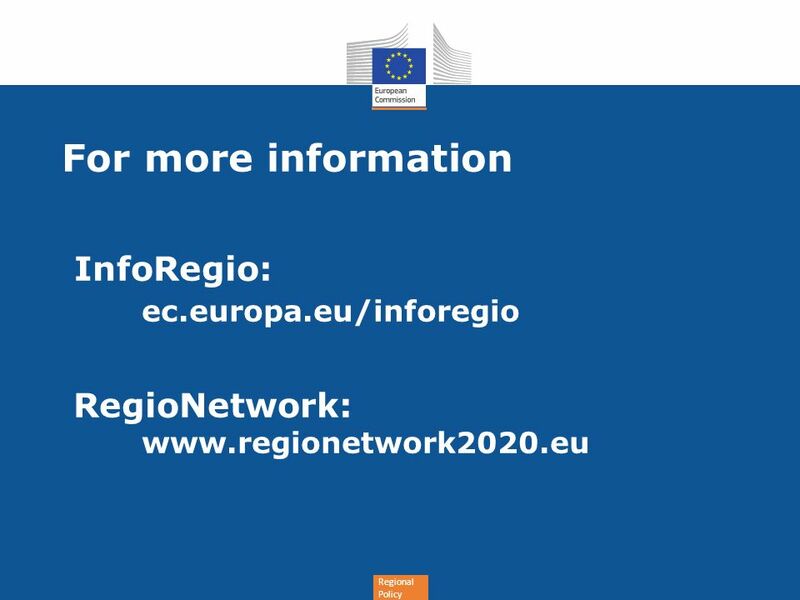 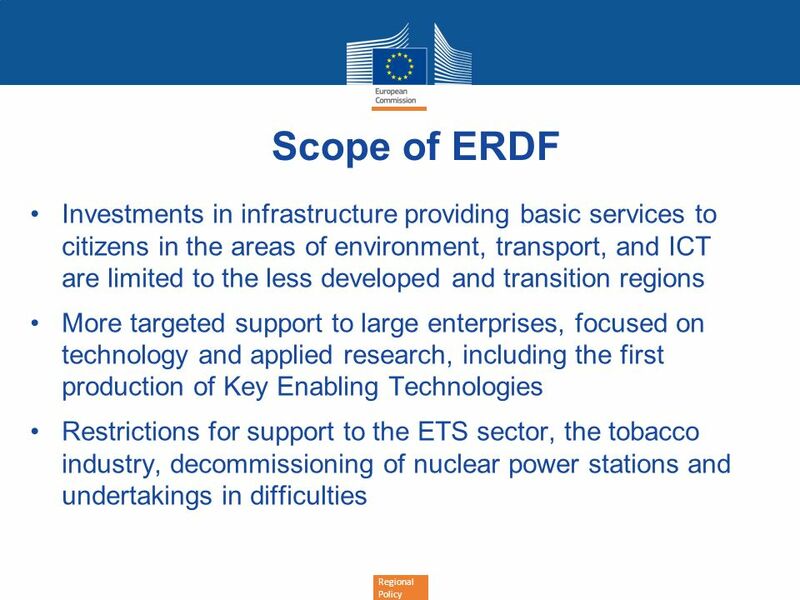 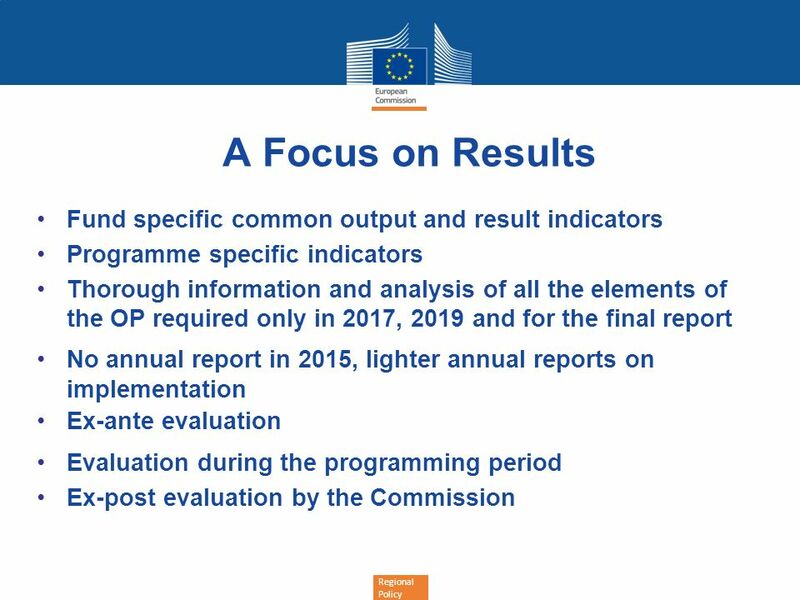 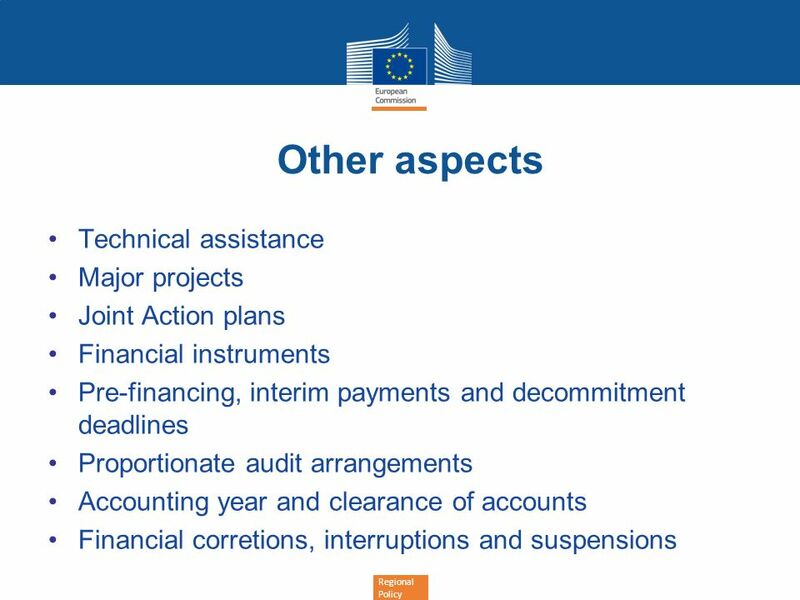 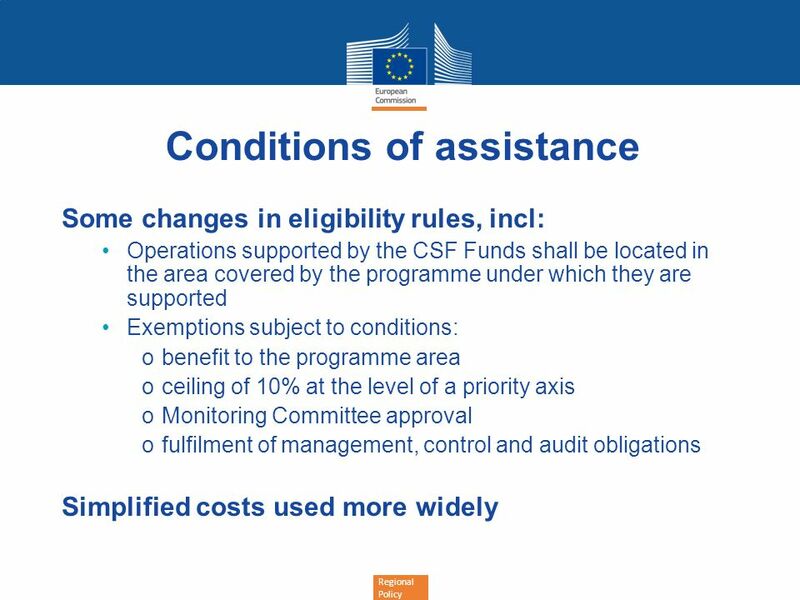 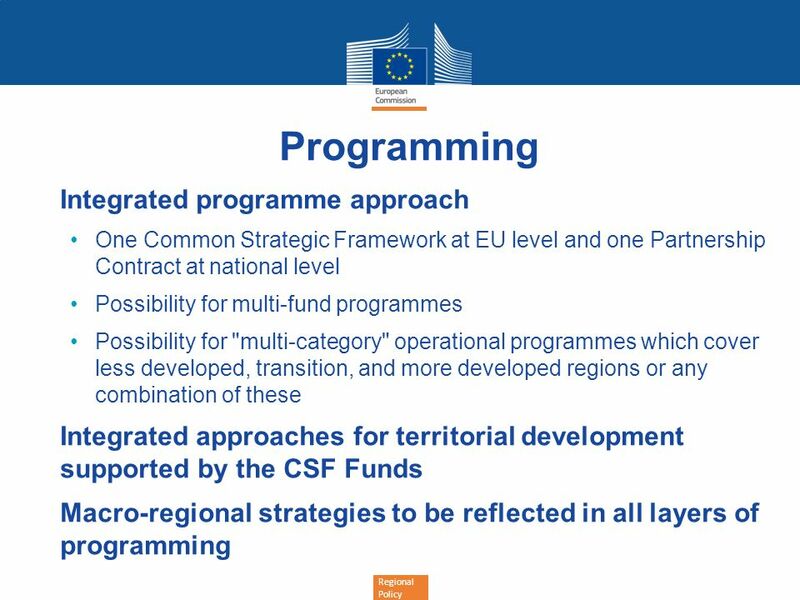 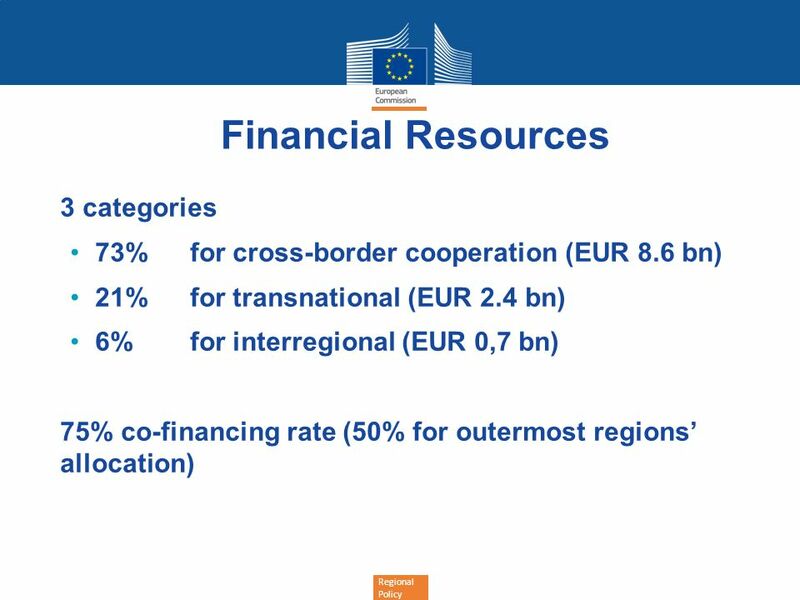 The new European Regional Development Fund DG REGIO. 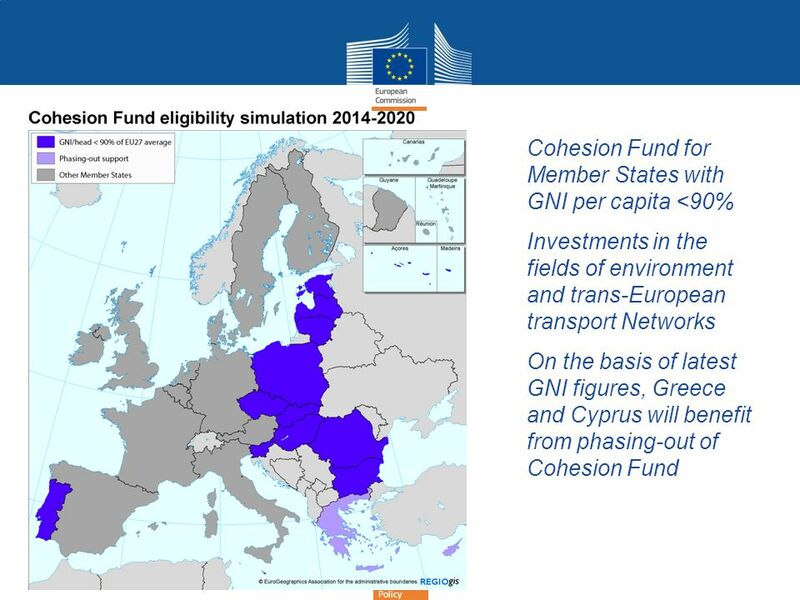 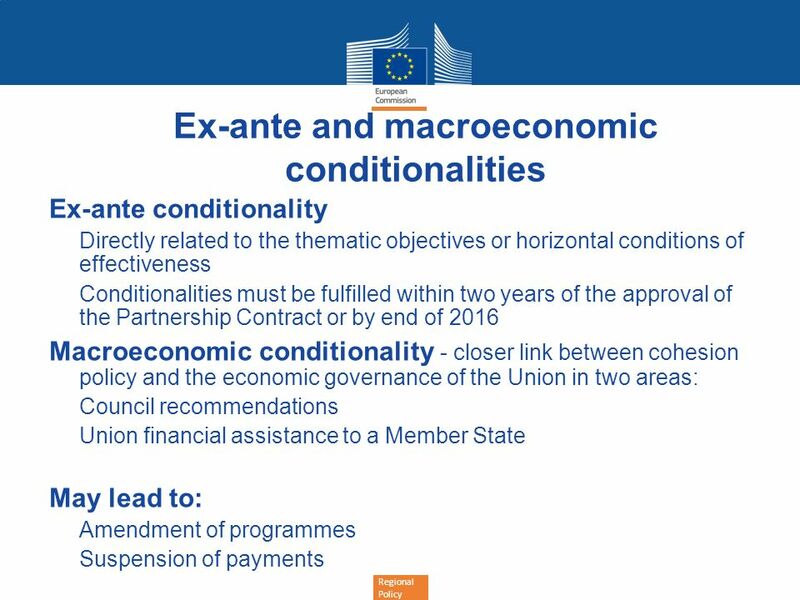 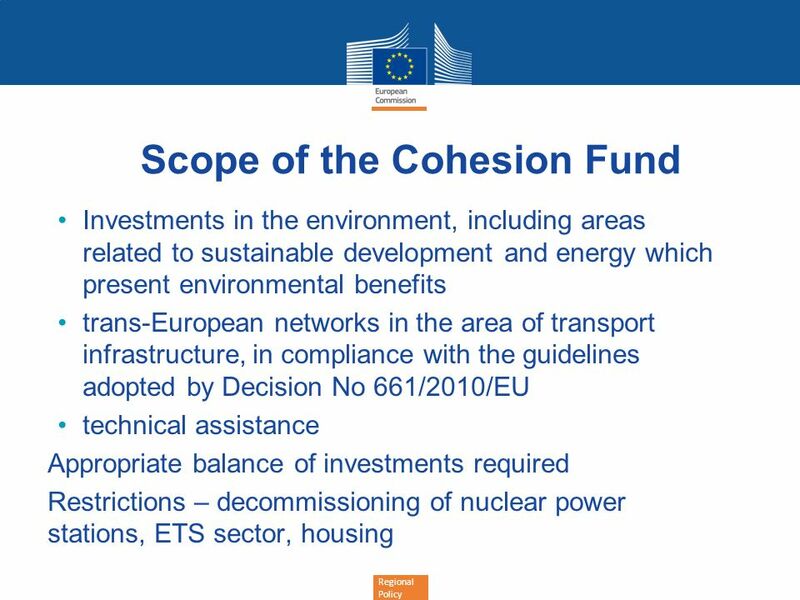 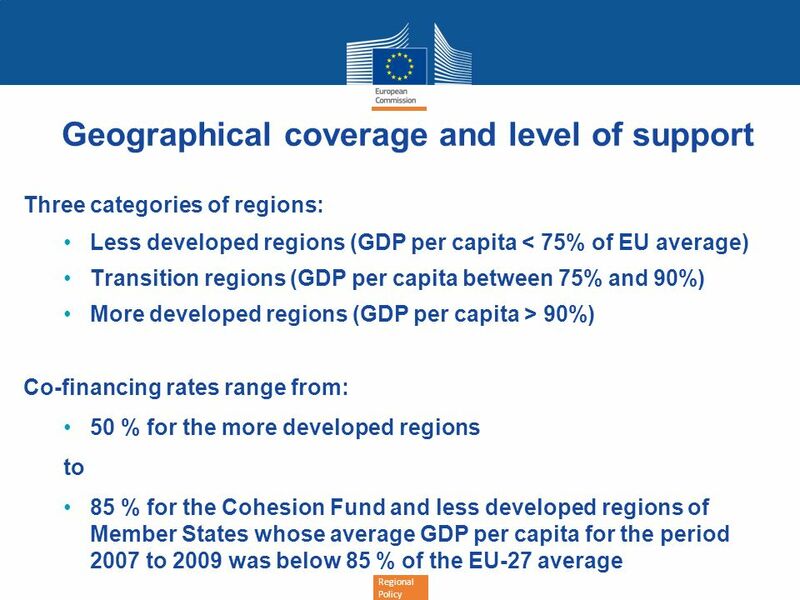 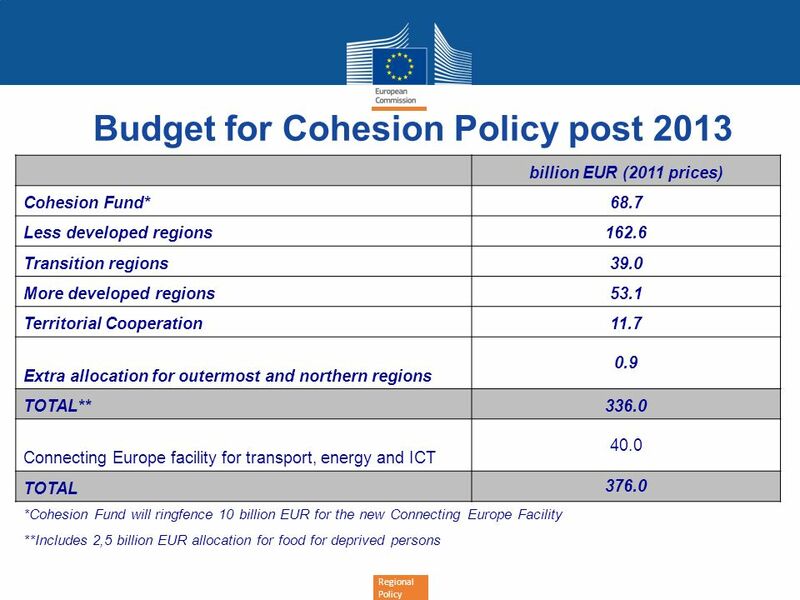 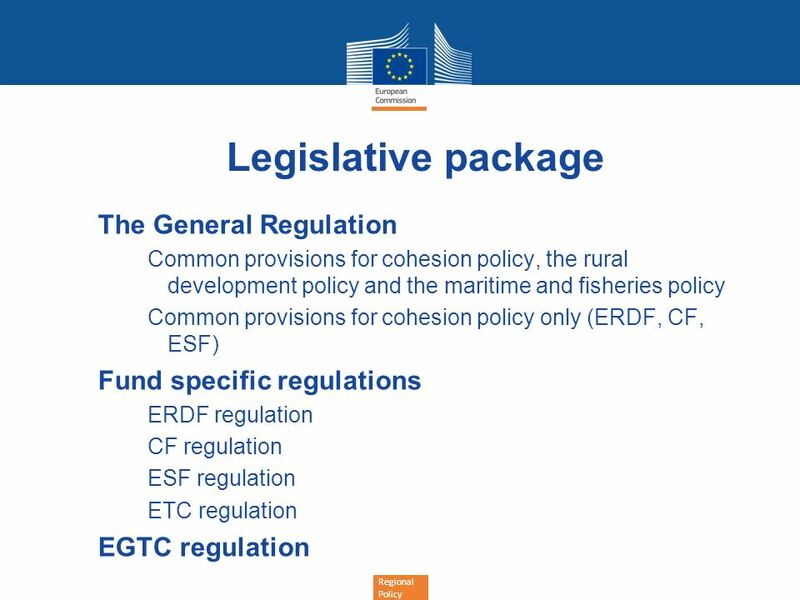 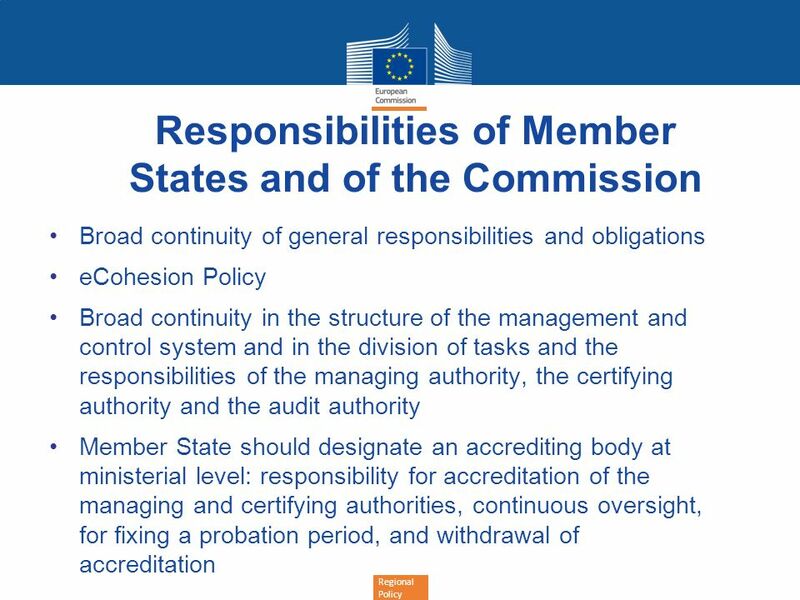 CONVERGENCE REGIONS ON THE WAY TO COHESION COHESION POLICY should benefit all MMSS, to promote a harmonious and balanced development and growth of the. 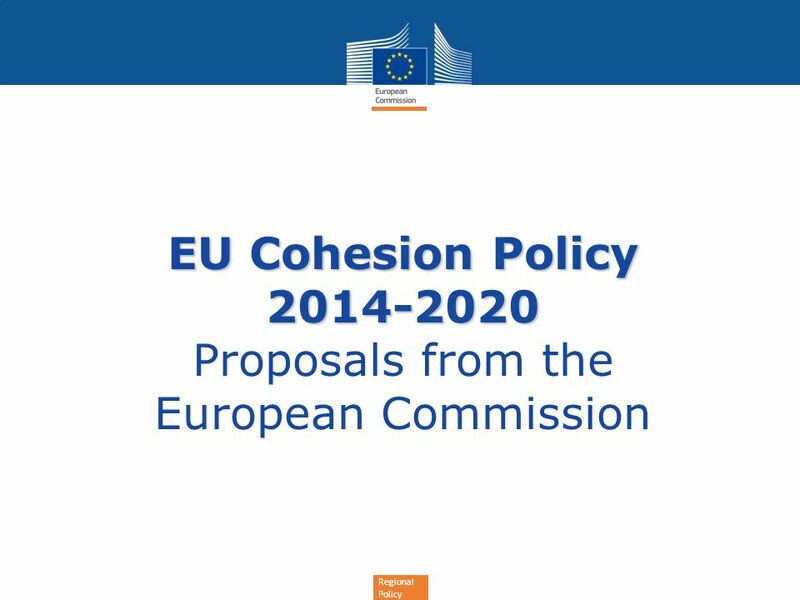 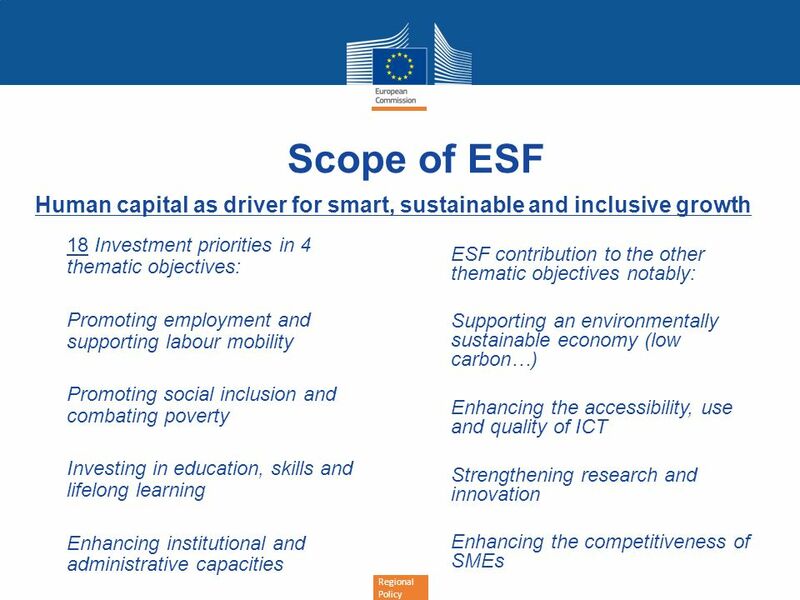 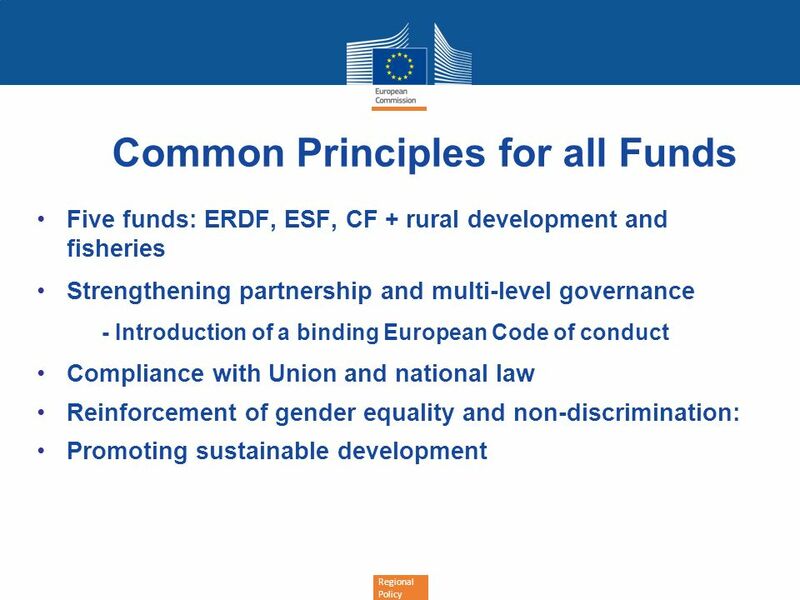 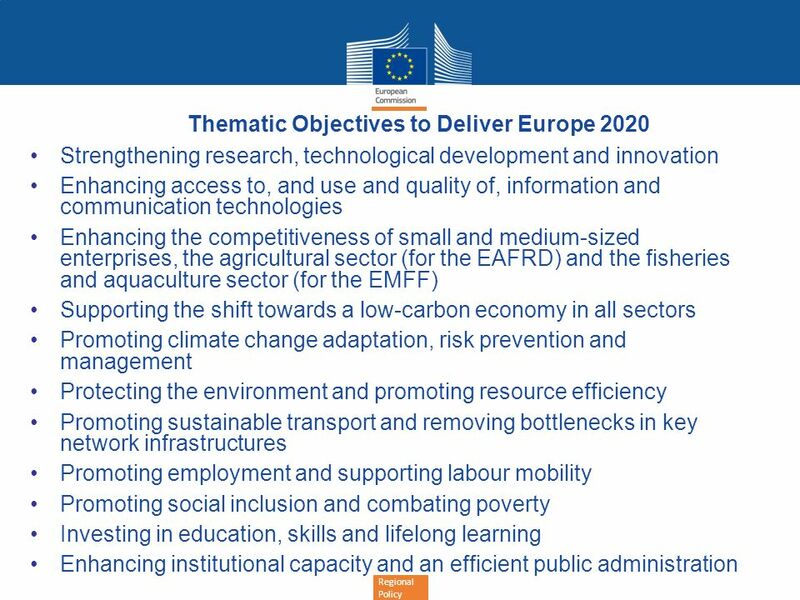 1 European Union Regional Policy – Employment, Social Affairs and Inclusion Addressing challenges in a changing world: -The future Cohesion Policy- Wolfgang. 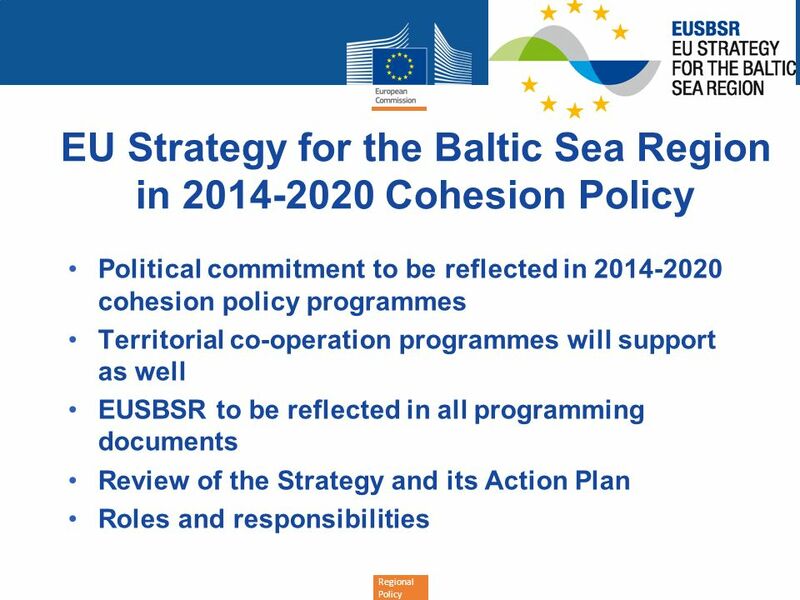 1 Cohesion policy post 2013 Jiri Svarc Head of Unit for Finland, Latvia, Lithuania and Estonia DG Employment, Social Affairs and Inclusion.